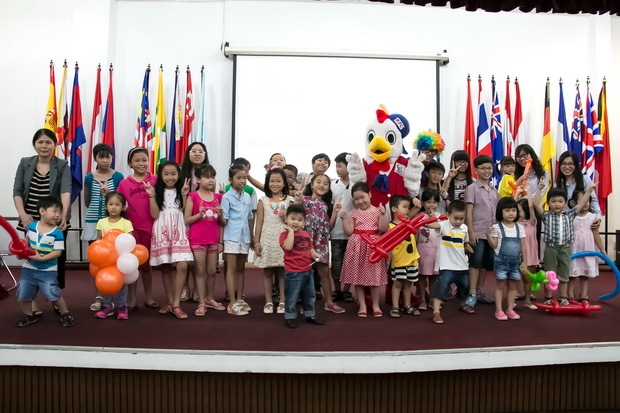 On June 01, 2014, SEAMEO RETRAC Labor Union celebrated International Children’s Day for children of the staff at the Center. On this special occasion, Dr. Ho Thanh My Phuong, the Center Director congratulated the children on their excellent achievements in the academic year 2013-2014. 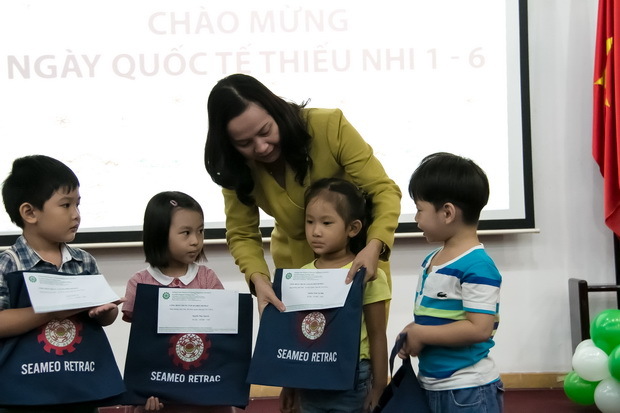 In addition, the Center Board of Directors also awarded Nguyen Duc Canh Scholarships to the children to encourage them to study in the hope that they continue to remain obedient offsprings and diligent students.